The interior of the Byton M-Byte SUV is on display at the Byton booth at CES International in Las Vegas earlier this month. 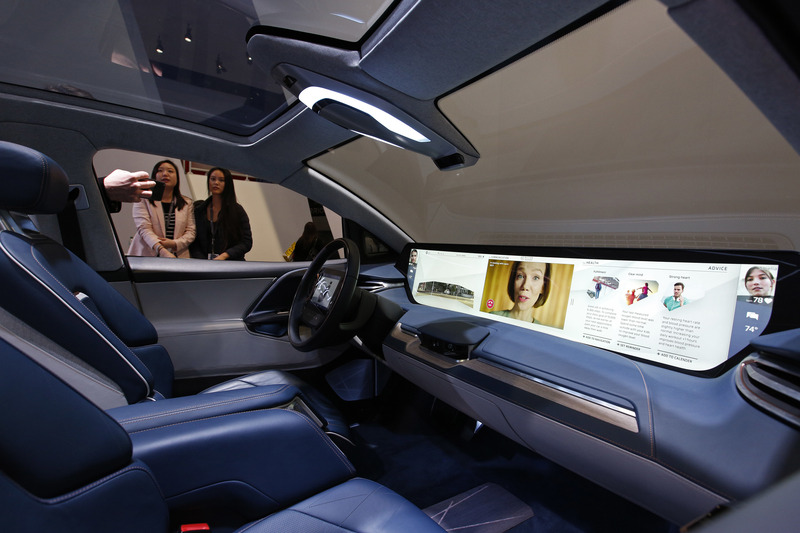 Every year at the International Consumer Electronics Show in Las Vegas, we get a glimpse of what vehicles might be – and what they could do. The event has also become an annual progress report on the latest electric vehicles and how close we are to “full driving automation,” as the Society of Automotive Engineers calls it. Here are a few vehicle trends from CES that you’ll see in the immediate future and some others that are much further away. The Toyota Research Institute, Toyota’s division that studies and tests autonomous driving, announced the launch of a new test vehicle that’s equipped with the latest scanners, sensors and computing equipment. Both systems use natural voice commands to control different aspects of the vehicle. For example, if you say, “Hey BMW, I’m cold,” the BMW Intelligent Personal Assistant adjusts the temperature inside the car. It also can serve as a paperless owner’s manual, telling you how a certain feature works or providing current vehicle status. You could check the oil by asking, “Is the oil level OK?” Or you could say “I want to relax,” and the assistant would change the settings on the radio station and adjust the climate control to ease your stress. Audi is showing a new entertainment format it says will transform a vehicle into a “special movie theater experience.” For now, the system is designed to work only when the vehicle is stationary, but Audi imagines a world in which the car is so good at driving itself that its passengers will need some amusement to pass the time. What better way to do that than to catch up on the latest movie? Futuristic concept vehicles and full driving automation are still years away, but cars with built-in personal assistants will be pulling into dealerships before you know it.